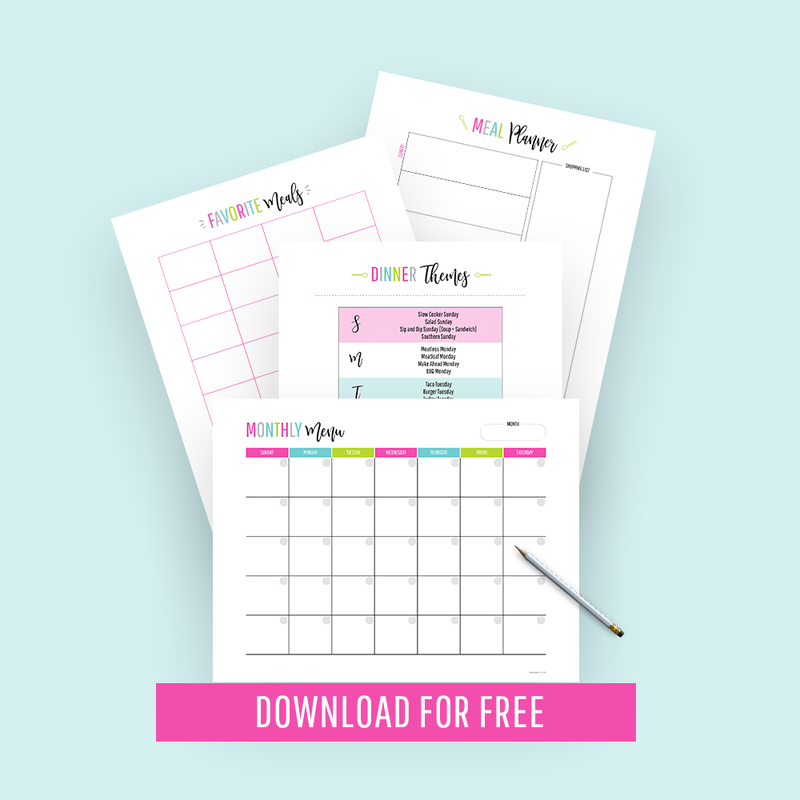 Scroll to the bottom to download your free brain dump template! Do you ever find it hard to focus (or even sleep) because you’re constantly bombarded with new thoughts, ideas, and things you need to do? If that’s a yes, it’s time for a brain dump. 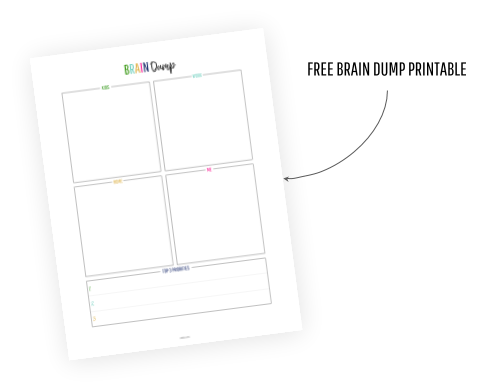 First, what IS a brain dump? Simply put, the brain dumping technique is where you list out everything that’s on your mind. 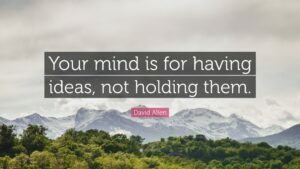 A routine brain dump can be so incredibly helpful for those times you find yourself overwhelmed with all the random thoughts and ideas swirling around in your head. I’ve found that it’s virtually impossible to give your full attention to a task when you have a ton of things on your mind that you can’t stop thinking about. How often should I do a brain dump? If you’re wondering how often you should do a brain dump, there isn’t a right or wrong answer. Some people like to daily morning brain dumps. Others like to do them before they go to sleep at night. Personally, I will do a brain dump any time I’m feeling overwhelmed — Night or day! 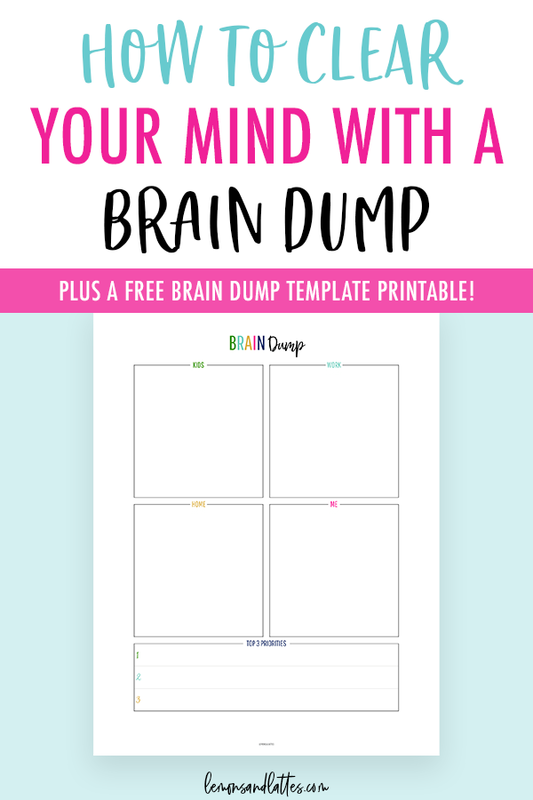 Download your printable brain dump template/worksheet! There is also a section at the bottom where you can write down your top 3 priorities. Like I said, a brain dump is where you get allllll your thoughts out of your head and on paper. So, the first step is to list everything that’s on your mind. And I mean everything including the things you MUST do, should do, might do, want to do, and any new ideas you can’t stop thinking about. If you need to make your child a dentist appointment, write it down. Pay a bill? Prep some meals for the week? 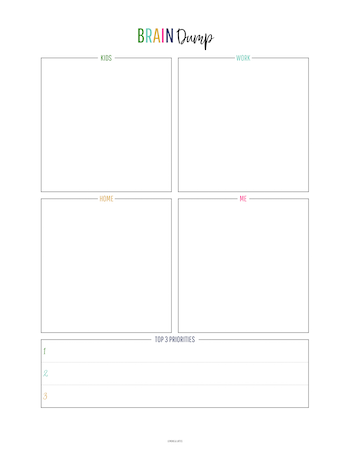 Write it ALL down on a piece of paper or your brain dump template! It’s completely OKAY to write down things you know you can’t do in one day. The point of a brain dump is to declutter your mind. A clear mind makes it much easier for you to focus on your priorities. Speaking of priorities- that is step 2. I like to choose 3 main things to focus on first. The rest gets saved for later.